While Phoebe Damrosch was figuring out what to do with her life, she supported herself by working as a waiter. Before long she was a captain at the New York City four-star restaurant Per Se, the culinary creation of master chef Thomas Keller. 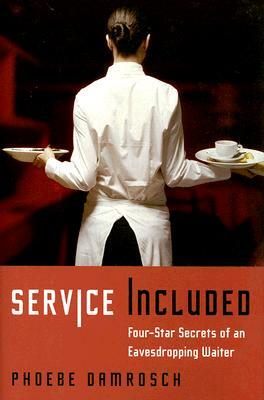 Service Included is the story of her experiences there: her obsession with food, her love affair with a sommelier, and her observations of the highly competitive and frenetic world of fine dining. Please do not ask your waiter what else he or she does. Please do not steal your waiter's pen. Please do not say you're allergic when you don't like something. Please do not send something back after eating most of it. Please do not make faces or gagging noises when hearing the specials--someone else at the table might like to order one of them. After reading this book, diners will never sit down at a restaurant table the same way again.